This Site and the Services found at this Site may contain links to third-party websites that are not owned or controlled by Tremron Group. Tremron Group assumes no responsibility for the content, terms and conditions, privacy policies, or practices of any third-party websites. In addition, Tremron Group does not censor or edit the content of any third-party websites. By using this Site or the Services found at this Site, you expressly release Tremron Group from any and all liability arising from your use of any third-party website. Accordingly, Tremron Group encourages you to be aware when you leave this Site or the Services found at this Site and to review the terms and conditions, privacy policies, and other governing documents of each other website that you may visit. Tremron Group makes no representation or warranty that the content available on this Site or the Services found at this Site are appropriate in every country or jurisdiction, and access to this Site or the Services found at this Site from countries or jurisdictions where its content is illegal is prohibited. Users who choose to access this Site or the Services found at this Site are responsible for compliance with all local laws, rules and regulations. Due to the variances in visual display on individual screens or computer monitors, all product and color appearances may be different than as displayed on this Site as well as may vary in appearance from one monitor to another. 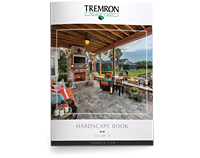 Tremron Group makes no claim or warranty as to actual product or product color appearance in comparison to what is displayed on this Site. Products and product colors naturally vary from plant to plant as well as from one production run to another. Please visit your local Tremron plant for product samples. While we will use our best efforts to fulfill all orders, Tremron Group cannot guarantee the availability of any particular product displayed on this Site. Tremron Group reserves the right to discontinue the sale of any product listed on this Site at any time without notice. Product prices offered on this Site may vary from other advertised prices due to varying conditions in different geographic markets. The prices displayed on this Site are quoted in U.S. dollars and are valid and effective only within the United States, and such prices do not include shipping and handling or sales taxes, if applicable, which will be added to your total invoice price. You are responsible for any shipping and handling charges and state and local sales or use taxes that may apply to your order. While our goal is a 100% error-free Site, we do not guarantee that any content is accurate or complete, including price information and product specifications. If we discover price errors, they will be corrected on our systems, and the corrected price will apply to your order. Tremron Group reserves the right to revoke any stated offer and to correct any errors, inaccuracies or omissions (including after an order has been submitted and accepted).